The United States (U.S) Embassy in Accra, in collaboration with the Knutsford University Collage on Wednesday, held a panel discussion on the topic: “Women in Agriculture: Reversing Trends, Changing Lives. The programme attracted stakeholders from the Agricultural sector majority of whom were young women with an aim to share knowledge, achievements and challenges of women in agriculture. Mrs Elizabeth Ategou, the Cultural Attaché of the U.S Embassy in her opening remarks underscored the important role that women played in agriculture and their contribution to the Gross Domestic Product. She said giving them further push through sustained investments, would produce a multiplier effect, as they usually reinvest a large portion of their incomes in their families and communities to enhance national development, as women had the ability to use very little resources to achieve greater outcomes. Mrs Ategou said the programme was also part of the activities to climax the annual Women’s History Month celebrations, and to discuss how best to support women to expand their production and businesses, as well as whip the interest of the youth to take to agriculture as a business. The panel discussion which was moderated by Ms Monipel Ansong, the Chief Executive Officer and Founder of MS Food Safety, led Madam Stella Saaka, the Regional Organising Secretary of the Women in Agriculture Platform and the 2019 U.S Embassy Ghana’s Woman of Courage awardee, Ms Margaret Agyeman, an Agronomist and Agriculture Consultant, and Ms Portia Agyei-Yeboah, Founder of OAK Foundation, the discussants, to share their knowledge and experiences on the subject with the participants. The convergent points raised by the three discussants included the fact that for women to thrive in agriculture, there should be persistent advocacy for their inclusion both at the decision-making levels, as well as giving them rights to land ownership. They admitted that although women were now doing tremendously well in the agricultural sector compared to previous years, there was still more to be done in areas such as encouraging more young women to get passionate about agriculture as a business, being innovative, and improving collaboration and networking with institutions to leverage the use of existing resources and support for the expansion. Other areas of concern raised by the panel included challenges with access to technology, funding for small holder women farmers, as well as market for their produce. Madam Saaka shared with the participants how she was able to engage with the traditional authorities in the Talensi District of the Upper East Region to release some productive lands to women in the community for farming, and also provided them with training for value addition to their produce. She spoke about the funding support received from the United States Agency for International Development (USAID) to train some young girls in the use of sweet potatoes for making drinks, and the market access created through her fervent advocacy and engagement with other stakeholders. 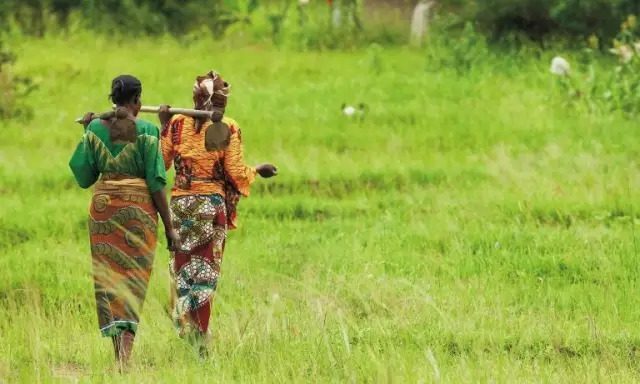 She said although not easy, there was the need to encourage women to open up for expansion through their acceptance of the use of new technologies to change their old methods of farming. Ms Agyei-Yeboah said women farmers needed capital, in the form of flexible loans for sustainable agriculture, and appealed to the private sector to help in addressing this concern, and also urged women to form groups so they could access such funding assistance for their expansion. Ms Agyeman indicated that agriculture was the sure way to eliminating poverty especially among women, and urged them to remain focused in expanding their production levels from peasant-based to large business farming entities. Professor John Essel, the Pro-Chancellor of the Knutsford University College, pledged the institutions commitment towards stepping up its partnership with the U.S Embassy to host new programmes that would open doors of opportunities for the youth to enter into agriculture for ensure food security. The United States will “re-engage” with Kim Jong Un, top leader of the Democratic People’s Republic of Korea (DPRK), over denuclearization-related issues of mutual concern, U.S. Secretary of State Mike Pompeo said on Monday. “President Trump’s commitment … has to follow the verified denuclearization of North Korea. 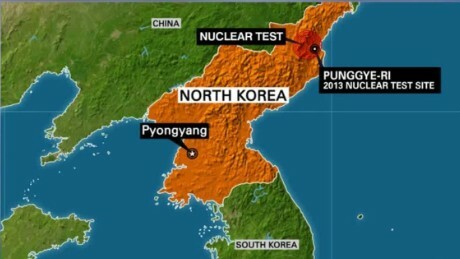 And getting that sequencing right and getting it laid out in a way that each of the parties can agree to and take down the tension level along the North and South Korean border, it matters to … our important partners, and it matters to the whole world,” he said. Noting earlier on Friday that Washington is still hopeful for continued talks with Pyongyang, Pompeo confirmed that there are ongoing negotiations between the two sides. The second summit between the DPRK’s top leader Kim Jong Un and U.S. President Donald Trump in Vietnam’s capital Hanoi ended without agreement on Feb. 28. On Friday, DPRK Vice Foreign Minister Choe Son Hui blamed the U.S. side for the failure of the Hanoi summit, saying the talks failed because the U.S. side lacked sincerity. 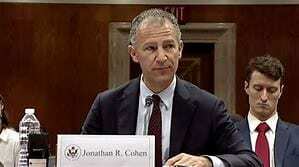 Other parties concerned have also tried to promote the U.S.-DPRK dialogue. Chinese Foreign Ministry spokesperson Geng Shuang said earlier on Monday that China hopes the DPRK and the United States would cherish the hard-won momentum of dialogue and keep talking until a peaceful denuclearized Korean Peninsula is realized. “After the Hanoi summit, the DPRK and the U.S. both expressed willingness to continue dialogues. We commend and encourage this,” Geng said, adding that the key to keeping up and advancing dialogue is to accommodate all parties’ legitimate concerns in a balanced way, build up mutual trust and consensus, take phased and synchronized steps, and start with easier moves. “As the nuclear issue has dragged on for decades and complicated factors are at play, one cannot expect it to be solved overnight. All parties need to have reasonable expectations. One shouldn’t set the bar too high at the outset or make unilateral, unrealistic demands,” Geng quoted Foreign Minister Wang Yi as saying. 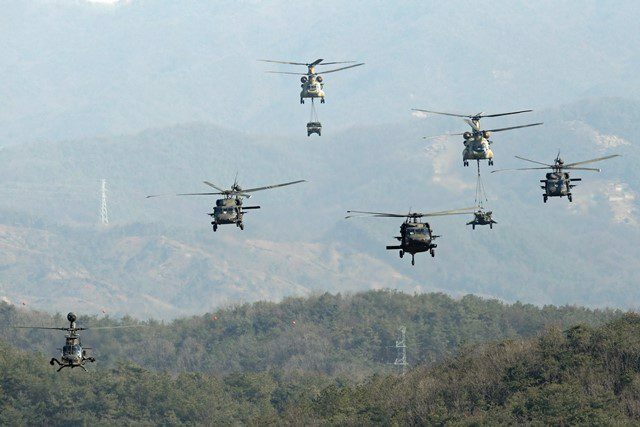 South Korea’s presidential Blue House said Sunday that both the DPRK and the United States “never” wanted to go back to the past confrontation and tension. Though Kim and Trump failed to reach an agreement in Hanoi, both Pyongyang and Washington made clear their willingness to continue diplomacy and negotiations, the Blue House noted, adding that the South Korean government will make best efforts to help resume the DPRK-U.S. negotiations as soon as possible in close cooperation with the United States while encouraging the DPRK to stay in the dialogue track. Morocco and the United States launched Saturday the 2019 edition of their annual military exercises named “African Lion” in southern Morocco. The United States intends to move India and Turkey out of a program under which a group of developing countries receive preferential trade treatment, the U.S. Trade Representative’s (USTR) office announced Monday. 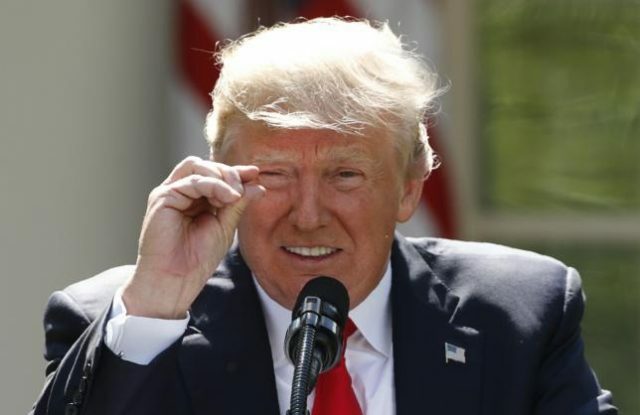 The step is taken because “I have determined that India has not assured the United States that it will provide equitable and reasonable access to the markets of India,” Trump told House Speaker Nancy Pelosi and President of the Senate Charles Grassley in the letter, citing provisions in the Trade Act of 1974 that established the GSP. As of 2017, some 5.6 billion U.S. dollars’ worth of Indian imports enjoys duty-free status in accordance with the GSP, making the country the biggest beneficiary of the program, data from the USTR’s office showed. Trump, who has complained about U.S. trade deficit with India, issued a presidential proclamation last year removing 50 items from a list of Indian products subject to the GSP, effective from Nov. 1, 2018. The United States has handed over more than USD $4 million (approximately 115 million ETB) worth of new medical equipment and medicines to the Ministry of Health for use in hospitals and health centers in the regional states of Afar, Benishangul-Gumuz, Gambella, and Somali. The equipment was provided by the United States Agency for International Development (USAID’s) Transform Health in Developing Regions activity and includes mobile ultrasound machines, incubators, and heating stations to keep newborns warm after birth. The project will also train Ethiopian health center staff on how to properly use and maintain the new equipment. In addition, USAID provided medicines to treat respiratory disease syndrome in newborns, obstructive pulmonary disease, hypertension, and other health problems. As a result, health centers in rural areas of the country will be able to improve childbirth delivery services and basic healthcare for mothers and children. 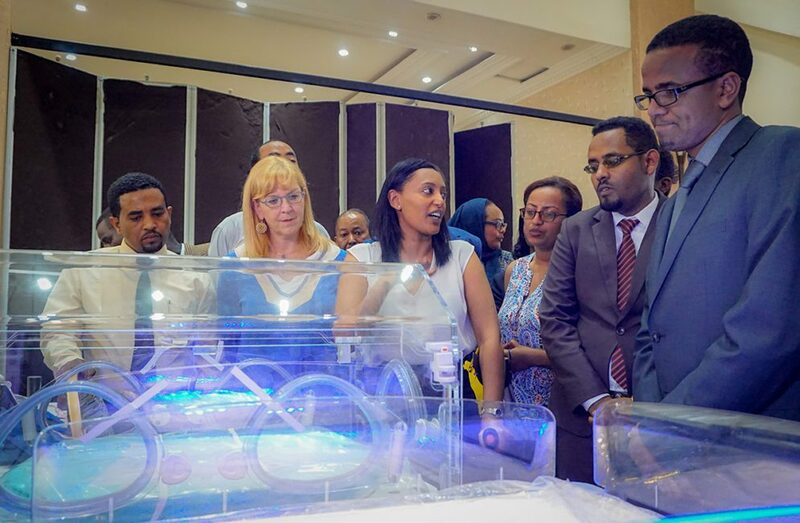 U.S. development programs like the USAID Transform Health in Developing Regions program invest in the capacity of Ethiopian institutions and the Ethiopian people to address their own needs and become stronger partners. The United States is the largest bilateral donor to Ethiopia’s health sector, with approximately USD $150 million per year in funding for HIV/AIDS; malaria; maternal, neonatal and child health; nutrition; tuberculosis; and water, sanitation and hygiene. Overall, the United States has provided approximately $4 billion in development and humanitarian assistance to Ethiopia over the past five years. President Muhammadu Buhari Wednesday night assured former President of the United States, Bill Clinton, of a free, fair and credible elections come Saturday. 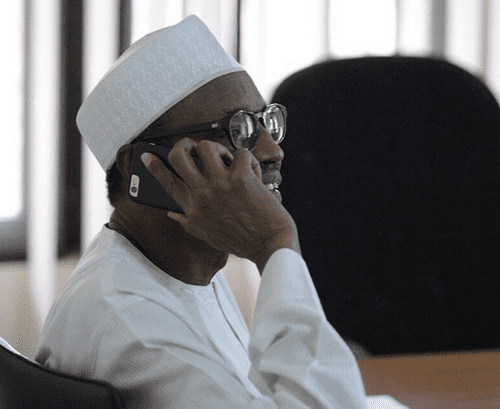 The President, who took a telephone call from President Clinton, described him as a friend of the country, while commending his constant support for the peace, stability and progress of Nigeria under a democratic dispensation. President Buhari thanked the former POTUS for his continuous support for Nigeria and the growth of her democracy. African American historian Gerald Horne published a study on the impact of the anti-slavery movement in Britain and the motivations for independence by the founders of the U.S. during the late 18th century. The book entitled: “The Counter-revolution of 1776: Slave Resistance and the Origins of the United States of America”, advances a thesis which conflicts with the conventional assumptions fostered by the educational system related to the separation of the 13 colonies from Britain. 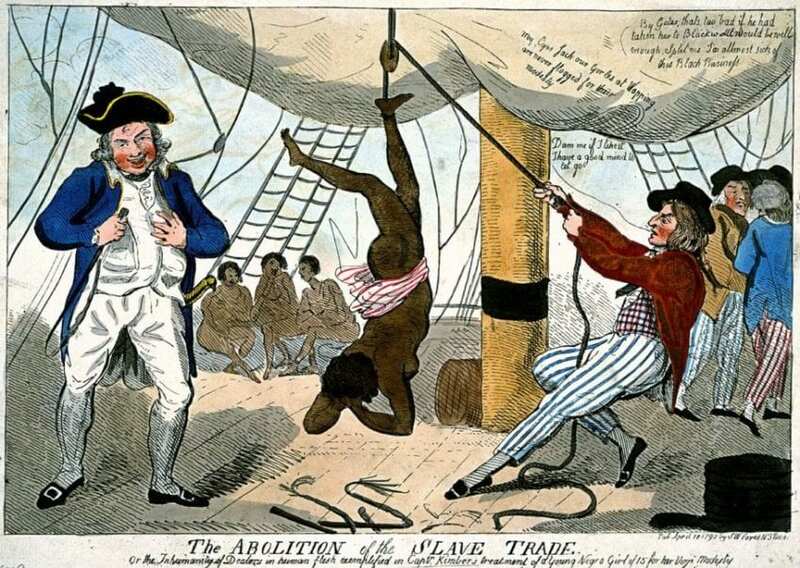 Africans formerly enslaved are still facing national oppression and economic exploitation. Today the criminal justice structures serve as the principal mechanism of social containment and institutional repression. Inevitably it will take a revolutionary struggle to complete the genuine emancipation of the African people in America. The United States on Monday issued a security alert for Kenya, citing credible information that Westerners may be targeted by extremists in three Kenyan towns. 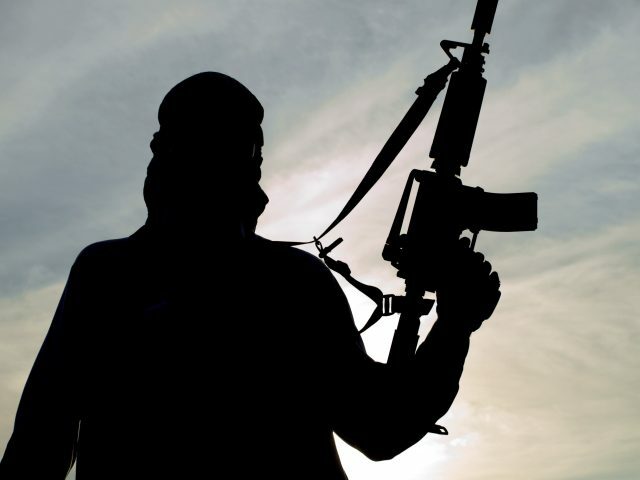 In its security alert, the U.S. embassy in Kenya reminded the public of the continued need for enhanced vigilance throughout the country, saying terrorists may be planning to carry out attack on Westerners in the capital, Nairobi, and in Naivasha and Nanyuki, both in northwest Kenya. “The U.S. Embassy reminds the public of the continued need for heightened vigilance throughout Kenya, especially in public spaces such as shopping malls, hotels, and places of worship,” it said in its alert. The embassy asked the public to be aware of their surroundings and stay alert in locations frequented by tourists and Westerners. The latest warning came after al-Shabab attacked a luxury hotel and office complex housing multinational companies in Nairobi on Jan. 15 that left 21 people killed and several others injured. Security forces have arrested and taken to court several suspects in connection with terror attack at the leafy Dusit2 complex on 14 Riverside Drive. Somalia-based terror group al-Shabab claimed responsibility for the hotel attack, saying they killed 47 people inside Dusit Hotel, part of a Thai-owned international chain that appeared to be the chief target of the attackers. Two people were injured on Jan. 26 when a suspected improvised explosive device exploded at a busy street in Nairobi a day after the U.S. embassy issued a similar alert. Ghanaian President Nana Akufo-Addo left here Sunday for an eight-day working visit to South Africa, the United States and Ethiopia, according to the presidency. In South Africa, the Ghanaian president will participate in the 2019 edition of the Investing in Africa Mining Indaba, the world’s largest mining investment conference dedicated to the capitalization and development of mining in Africa. He is expected to deliver the keynote address at the conference, the presidency said in a statement. 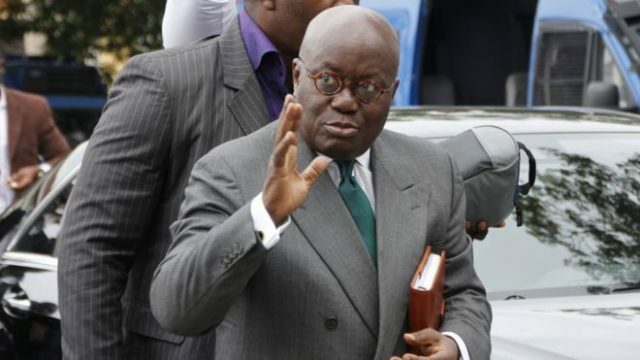 In the U.S., Akufo-Addo will attend and deliver a keynote speech at the 67th annual national prayer breakfast to be held on Thursday, take part in an event to raise funds for the construction of a National Cathedral in Ghana. Mozambique and the United States will conduct a military exercise in the northern province of Cabo Delgado in the southeastern African country on Tuesday to combat maritime piracy as well as drug, human and wildlife trafficking. The information was released on Monday in Maputo in a joint statement from the Mozambican ministry of defense and the U.S. government through its embassy in Mozambique. “Illicit trafficking in drugs, wildlife products and human beings is a continuing challenge for Mozambique, the United States and partner countries around the world,” read the statement. “The exercise was designed to strengthen multilateral cooperation between naval forces operating in the Indian Ocean and will focus on the development of skills related to the identification, approach and pursuit of suspicious vessels at sea,” it said. The “Cutlass Express” naval drill, an exercise sponsored by the U.S. Africa Command (US AFRICOM), and conducted by Naval Forces Africa (NAVAF), is held every year. This year, 15 countries will join the 11-day exercise. Mozambique has signed the Jeddah Amendment to the Djibouti Code of Conduct in 2017 which offers the possibility of creating national and regional capacities to respond to maritime security issues. 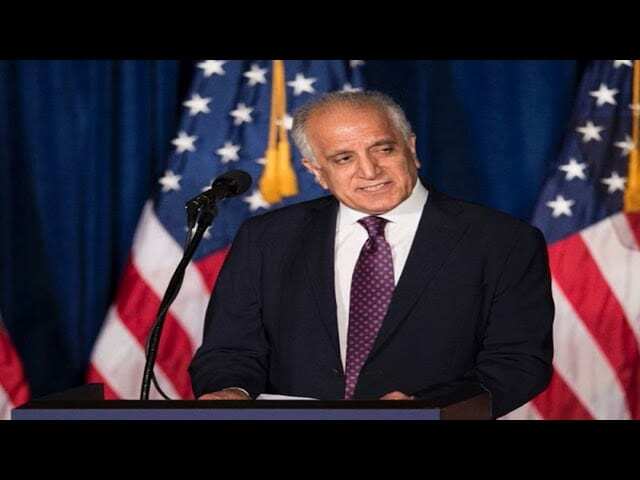 The United States and Afghan Taliban made significant progress on vital issues after six days’ consultations in Qatar, U.S. Special Representative for Afghan Reconciliation Zalmay Khalilzad said Saturday. The meetings were “more productive than they have been in the past. We made significant progress on vital issues,” Khalilzad said on his Twitter account.However, he also pointed out “a number of issues left to work out,” saying that an agreement “must include an intra-Afghan dialogue and comprehensive ceasefire.”After the meetings with the Taliban in Doha, Qatar, the U.S. envoy was heading to Kabul for consultation with the Afghan government.U.S. Secretary of State Mike Pompeo tweeted Saturday that Washington is “serious about pursuing peace,” reiterating objectives of preventing Afghanistan from being a space for international terrorism, as well as bringing U.S. military home. There are about 14,000 U.S. troops currently deployed in Afghanistan, and the Trump administration reportedly planned to bring half of them home.The death toll of U.S. service members in Afghanistan has surpassed 2,400 since the United States invaded the country in 2001. 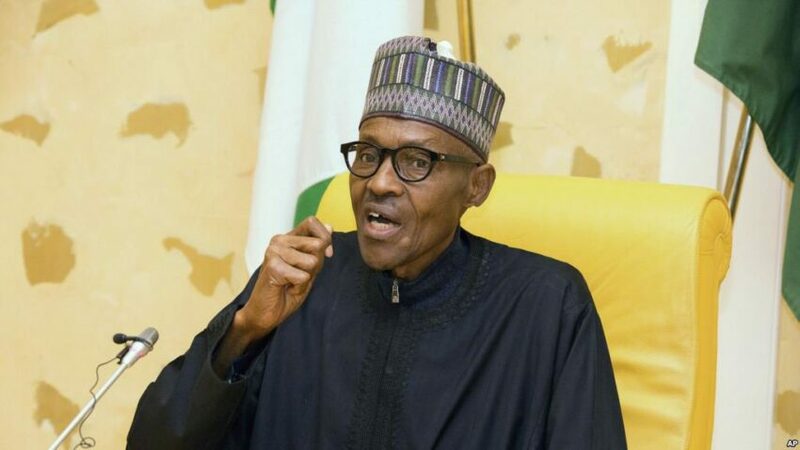 The Presidency on Sunday said that the U.S, UK and EU were ill-informed regarding their response over President Muhammadu Buhari’s suspension of CJN Onnoghen on Friday. The United States, Britain and the European Union expressed concern on Saturday after Chief Justice Onnoghen was suspended three weeks before the presidential election, with the U.S. warning it could “cast a pall” over the vote in the country. 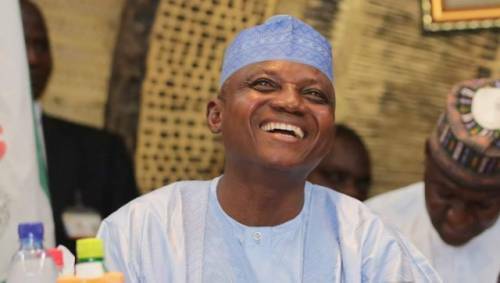 The presidency in a statement Sunday night said the western nation acted in a haste and that CJN Onnoghen’s situation is one of his own making and, to a large degree, his own choosing. ” Had the situation been reversed and the US, UK or any EU member government found that its chief judicial official is the recipient of large sums of money of questionable origin and Nigeria suggested that you retain the person in that position, you would question Nigeria’s bona fides. You also would swiftly move to suspend the official pending final determination of the causes against him. The United States, Britain and the European Union expressed concern on Saturday after Chief Justice Onnoghen was suspended three weeks before the presidential election, with the U.S. warning it could “cast a pall” over the vote in Africa’s most populous nation. The United States said Saturday that Nigeria’s upcoming national elections will be a critical test of democracy in the country and deeply concerned by the impact of the executive branch’s decision to suspend and replace the Chief Justice and head of the judicial branch without the support of the legislative branch on the eve of national and state elections. In a statement by the US Embassy in Nigeria, ” We note widespread Nigerian criticism that this decision is unconstitutional and that it undermines the independence of the judicial branch. That undercuts the stated determination of government, candidates, and political party leaders to ensure that the elections proceed in a way that is free, fair, transparent, and peaceful – leading to a credible result. The United States has frowned against the increasing number of arrests and detentions, and the escalating number of people injured and killed, following four weeks of protests across Sudan. The United States supports the right of the Sudanese people to gather peaceably to voice their demands for political and economic reform and a more peaceful and inclusive Sudan. We condemn the use of violence, including the use of live fire, and the excessive use of tear gas by the Sudanese security forces. A new, more positive relationship between the United States and Sudan requires meaningful political reform and clear, sustained progress on respect for human rights. This must include prohibiting the security services’ use of arbitrary detention and excessive force against protesters, and ending the government’s harassment and intimidation of journalists, human rights defenders, political opposition, medical personnel, students, and other civil society actors. We urge the government to release all journalists, activists, and peaceful protesters who have been arbitrarily detained, and to allow those facing charges full access to legal representation and the opportunity to seek legal review of their detention. We also call on the government to allow for a credible and independent investigation into the deaths and injuries of protesters. Moreover, to address the legitimate grievances of the population, the government must create a safe and secure environment for public expression and dialogue with the opposition and civil society in a more inclusive political process. 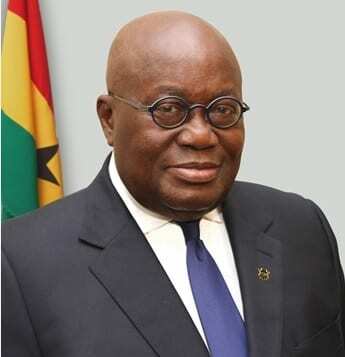 President Nana Addo Dankwa Akufo-Addo on Wednesday accepted the credentials of four new envoys accredited by their countries to Ghana at the Jubilee House in Accra. They are Stephanie S. Sullivan, United States Ambassador, Emad Mugsy Hanna Kamel of the Arab Republic of Egypt, Ambassador Özlem Gülsün Ergün Ulueren of Turkey and Ambassador Pham Anh Tuan of Vietnam. President Akufo-Addo, at separate sessions, welcomed the envoys to the country saying Ghana is committed to working with them to deepen the ties with their various nations for the mutual benefit of all. He wished them a successful stay and duty tour in Ghana, and assured them of government’s support to carrying out their duties. The President briefed them on his administration’s resolve to put the country on a new path of growth, leveraging on its resources to accelerate development and creating wealth for the people. Thus, Ghana’s relations with other countries is gradually shifting from aid dependency and handouts to trade and partnerships, to enhance the dignity and self-worth of the country. 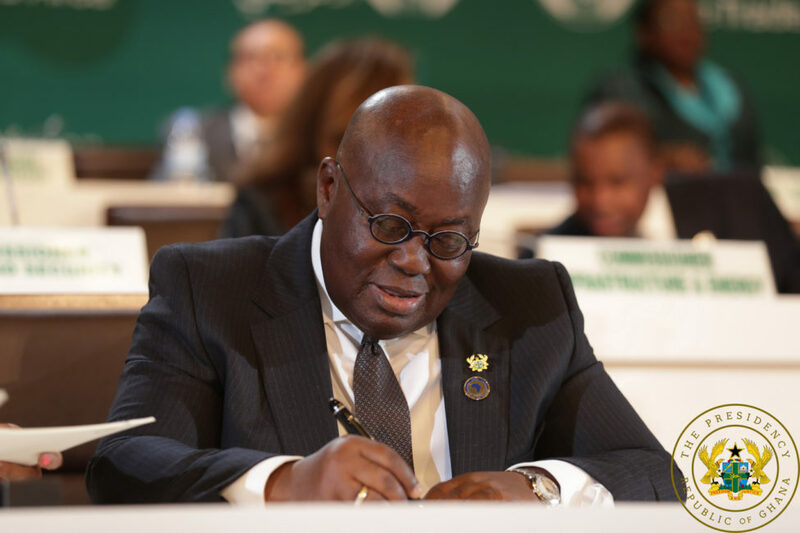 Ghana, President Akufo-Addo said, was determined to changing the narrative of being dependent on the generosity of other nations and called for cooperation in that regard. “Its not right that since independence, we are still dependent in many areas of our national lives on the generosity of others. We should by now, be able to stand on our own feet,” he said. President Akufo-Addo expressed unhappiness with the low volumes of trade among countries in Africa and called on the countries to explore trade and investment opportunities through the Continental Free Trade Area Agreement (CFTA) for the future prosperity and development of the Continent. The situation ought change for the better, he said, and that his administration would work to enhance cooperation between Ghana and Egypt, as well as all other African nations to ensure that they enrolled fully on the CFTA. 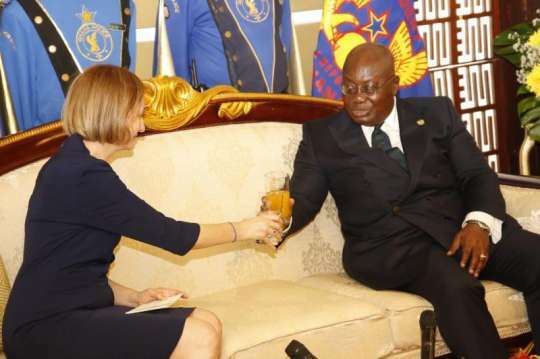 Ambassador Sullivan on her part, said she looked forward to mutual partnerships between her country and Ghana and pledged to strengthen ties and advance trade relations between both nations. Ambassador Kamel also pledged to promote trade and investments between Egypt and Ghana, saying there was a lot more both countries could do to promote investment and trade. Turkish Envoy Ergün Ulueren told the President that her country was determined to boosting trade ties with Africa and that no effort would be spared to strengthen the already strong relations with Ghana. The Vietnamese Ambassador Pham Tuan also pledge to promote and seek new areas of cooperation and enhance relations between Ghana and his country. Four new Ambassadors to Ghana on Wednesday presented their letters of credence to President Nana Addo Dankwa Akufo-Addo at the Jubilee House in Accra. They are Stephanie S. Sullivan of the United States (US), Emad Mugsy Hanna Kamel, the Arab Republic of Egypt, Özlem Gülsün Ergün Ulueren of Turkey and Pham Anh Tuan, Vietnam. President Akufo-Addo said Ghana was committed to working with them to deepen the ties with their various nations for the mutual benefit of everybody. He underlined the resolve of his government to put the country on a new path of growth, leveraging on its resources to accelerate development and create wealth for the people. Ghana’s relations with other countries, is gradually shifting from aid dependency and handouts to trade and partnerships, to enhance its dignity and self-worth. They are eager to change the narrative of being dependent on the generosity of other nations, and he invited stronger cooperation of the other countries. President Akufo-Addo expressed discomfort with the low volumes of trade among African nations and called for radical change. Countries in Africa needed to work together to explore trade and investment opportunities through the Continental Free Trade Area Agreement (CFTA) for the future prosperity and development of the continent. “We are the only continent in the world where trade amongst our nations is so negligible. “I believe it is part of the reasons for the general poverty on the continent” he added. He wished the Ambassadors a successful duty tour and assured them of his government’s support to carry out their duties. Ambassador Sullivan pledged to work to strengthen US-Ghana relations – advance mutual partnerships and trade between them. Ambassador Kamel said he was going to promote of trade and investments between Egypt and Ghana, pointing out that, there was a lot both countries could do to boost trade and investment. Ambassador Ergün Ulueren assured the President of Turkey’s readiness to boost trade ties with Africa. No effort would be spared to strengthen the already strong relations with Ghana. The Vietnamese Ambassador promised to seek new areas of cooperation and enhance relations between Ghana and his country. Cuba has reiterated calls on the international community to exert more pressure on the United States for the removal of the economic blockade it placed on her since 1962. The government of the Caribbean island says the continuous blockade had been devastating, culminating in economic stagnation and suffering. Pedro Luiz Gonzalez, the Cuban Ambassador to Ghana said “so far we are suffering. If you arrive in Havana, you would know how bad the blockade has been”. Ambassador Gonzalez said the 57-year old blockade has seriously undermined Cuba’s quest to grow and expand its economy, explaining that, the acquisition of medicines for healthcare and attempts to expand its industries had been rendered impossible. According to him, as recent as 2017, 191 nations of the world adopted the United Nations Resolutions against the blockade but the intransigence of the United States and its close ally, Israel had been resounding. 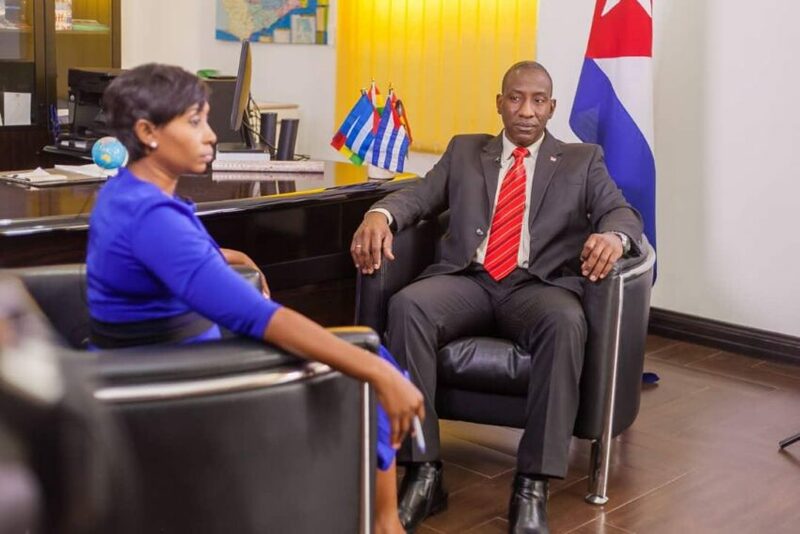 He said but for the blockade, the number of Africans studying in Cuba could have been more than the current 19,000 and therefore called on well-meaning nations to increase the pressure for the review of the policy. He said the U.S currently had a military base in a territory belonging to Cuba, for which a paltry sum of $4,000 is paid annually in return; an amount Cuba has failed to acknowledge. John F Kennedy, the then U.S President, in 1962 announced the imposition of the blockade on Cuba after Soviet missiles were found installed in the island during Cuba’s revolution. The blockade was initially a Naval one against offensive weapons but has since been expanded to cover all types of goods and air transport. November 6 was a day in which people across the United States and indeed the world were watching for some indications of the future political prospects for the leading capitalist state. It had been predicted that the House of Representatives would be lost by the Republicans to the Democrats. This was the outcome of the elections where Democrats could pick up approximately 40 seats outperforming the party of President Donald Trump. Trump played down the loss of the House and emphasized that the Senate would remain under Republican control. Nonetheless, there is a major shake-up in the cabinet of the Trump administration with the immediate departure of Attorney General Jeff Sessions with more ousters being imminent. A large number of women, national oppressed people and younger politicians ran for public office while a significant number were elected. The results of the elections were in part due to the higher than normal turnout of voters for a midterm poll. With these new faces in Congress and the Senate it still remains to be seen what actual impact this will have on the overall political atmosphere prevailing in the U.S. Trump, whose 2016 campaign is still under investigation by a special counsel, continues his right wing, neo-fascist posture and agenda aimed at stoking fears of African Americans, Latinx people, Middle Easterners, immigrants, LGBTQ communities and anyone who does not agree with the policies of the current administration. A series of high profile racial and political incidents occurred leading up to the midterms. 14 packages containing what appeared to be pipe bombs were addressed to two former Democratic presidents, a previous Secretary of State, a famous actor, the Manhattan building of Cable News Network (CNN), among others, with a return address containing the name of Debbie Wasserman Schultz, the former Chair of the Democratic National Committee (DNC). On October 24 a white racist shot to death two African American seniors at a Kroger supermarket in a suburb of Louisville, Kentucky. Just minutes before this same assailant unsuccessfully attempted to gain entry into an African American church. Some three days later, another domestic terrorist entered the Tree of Life synagogue in the Squirrel Hill district of Pittsburgh and killed 11 Jewish worshippers. Both gunmen were imbued with hatred for various sectors of the population in the U.S. and internationally. Trump through his campaign rallies across the country has agitated for stricter immigration laws even sending thousands of troops to the southern border with Mexico. The president’s attitude towards African Americans, particularly women, has been expressed through his derogatory statements to journalists who were merely asking him critical questions about domestic issues. The culmination of these violent acts and inflammatory rhetoric has created a socially tense atmosphere in the U.S. Although the official unemployment rate has declined sharply over the last two years (3.7%), a significant number of working families are continuing to suffer from poverty and economic marginalization. The ruling class is growing wealthier at the expense of the majority while a burgeoning federal budget deficit threatens the future stability of the country. Two gubernatorial and one senatorial race in the states of Georgia and Florida have become a focal point for millions throughout the country and the world. Democratic State Representative Stacey Abrams has refused to concede to former Republican Secretary of State Brian Kemp in Georgia where a narrow margin separates the contenders. The Abrams campaign has objected to documented evidence of voter suppression targeting mainly African Americans and naturalized citizens. Abrams is demanding that all votes be counted, strongly believing that the gap between her and Kemp would deny him 50% of the vote necessitating a runoff election in early December. Kemp has already resigned as Secretary of State claiming victory and setting up a transition team. Such a high degree of irregularity within the Secretary of State’s office should have prompted a Justice Department investigation. However, considering that former Attorney General Jeff Sessions, who was fired from the Trump administration the day after the midterm elections, has been accused of being a racist for many years, it is not surprising that no administration intervention on the side of the disenfranchised has been forthcoming. In fact Trump has sided with the Republican candidates in Georgia and Florida, where similar charges have been made. Similar developments occurred in the state of Florida where African American Mayor of Tallahassee Andrew Gillum, the Democratic candidate for Governor, is in another undecided race against Republican Congressman Ron DeSantis. Voter suppression is a perennial systemic problem in Florida as well. In 2000 the presidential race between Democratic Vice President Al Gore and Republican Governor George Bush, Jr. was decided in Florida after a 5-4 Supreme Court decision ordered the state election commissions to stop counting the votes, giving the election to the Republican candidate. Broward County became a focal point of the 2000 election and this center of Democratic African American voters is once again being targeted for disruption by the right wing supporters of the Republican Party. A referendum was passed in Florida on November 6 which restored the right to vote to 1.4 million people denied the franchise as a result of previous felony convictions. Nonetheless, these potential voters could not cast their ballots in the midterms. The recounts for Governor and the Senate will intensify the struggle generating more animosity from the right wing towards African Americans and other national minorities. Even with a majority Democratic House of Representatives the question remains as to which course the party will take as it relates to domestic and international affairs. Many Democratic politicians and their allies within the corporate media have focused attention on allegations of Russian governmental interference in the 2016 presidential elections which brought Trump to the White House. Yet this preoccupation with Russia’s influence and the U.S. electorate completely neglects the political bankruptcy of the Democratic campaign of former Secretary of State Hillary Clinton. During the administration of President Barack Obama the militarist policies of U.S. imperialism continued in full force leading to an escalation of Pentagon and NATO troops in Afghanistan; the destruction of the North African state of Libya in 2011, the most prosperous nation on the continent, resulting in the brutal assassination of Pan-Africanist leader Col. Muammar Gaddafi; an initiation of a counter-revolutionary war aimed at toppling the legitimate government of Syrian President Bashar al-Assad which fueled the crises of migration and displacement, the worst since the conclusion of World War II, triggering the advent of neo-fascist regimes in Eastern Europe and the threat of the breaking up of the European Union (EU). On a domestic level after the ascendancy of Obama in 2008, the following midterm elections in 2010 saw a major swing to the right in both the Congress and the Senate. By 2014, the Democrats had loss both the House and Senate along with numerous state legislative bodies and governorships. During the period of 2009 through 2016, African Americans were subjected to greater levels of state violence and socio-economic depravation spawning rebellions in Ferguson, Baltimore, Milwaukee and Charlotte. There was the proliferation of racist organizations while the Democratic Party seemed helpless in countering the reactionary trend. 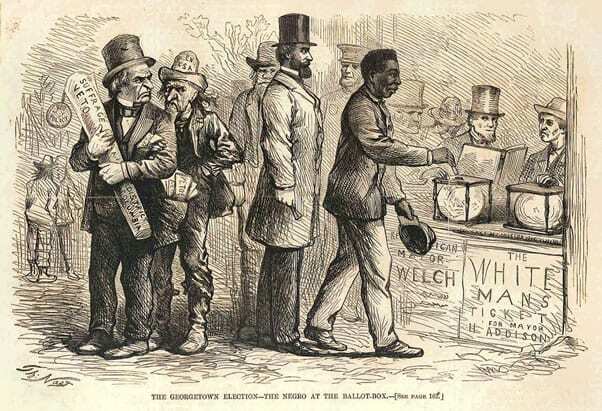 The struggle for voting rights among African Americans extends back to the years following the Civil War (1861-1865). The defeat of Black Reconstruction after 1876 and extending through the remaining decades of the 19th century returned African Americans to conditions reminiscent of enslavement where state governments enacted segregation laws which were reinforced by a penal system which constitutionally within the framework of the 13th Amendment coupled with local laws could in fact subject detainees to involuntary servitude. An enslavement policy in the state of Colorado was overturned by the voters in the midterms shining a light on this practice as it exists in the 21st century. Nevertheless, the prison system whose inmates are disproportionately African Americans, Latinx and poor is not being dismantled. How will the incoming Democratic Congress address these fundamental questions? Are they even capable of such a challenge considering that the leadership of both the Democratic and Republican parties represents the ruling capitalist class. The political rights of African Americans must be defended as a principle within the concept of universal suffrage. Nonetheless, the genuine democratic aspirations of the nationally oppressed in the U.S. and their right to self-determination cannot be realized under the racist capitalist system. The capitalist system was built on the enslavement of African people and the extermination of the Indigenous nations in North America. Consequently, a revolutionary reconstruction of the contemporary dispensation must overturn the material basis for this centuries-long national oppression and economic exploitation in order that a truly democratic system comes into existence. Since March of 2015 the United States has engineered and guided a genocidal war against the people of Yemen. Daily bombing operations by the Saudi Arabian-led Gulf Cooperation Council (GCC) has killed tens of thousands of people, injured and sickened hundreds of thousands more and created the worse humanitarian crisis in the world. At present Yemen is facing famine due to the targeting of hospitals, schools and neighborhoods in an effort to break the will of the people to resist this military onslaught. The strategic port at Hodeida is a key element in the campaign waged by the Saudi-GCC coalition to starve the Yemini population into submission. Nonetheless, the U.S. and British-backed forces are nowhere nearer to defeating the Ansurallah-led coalition which has seized huge swaths of territory in the north, central and southern regions of the country, the most underdeveloped and impoverished in the entire West Asia. A renewed battle launched by the Saudi-allied militias to take control of Hodeida has failed amid stiff resistance by the Popular Committees committed to defending this important outlet for essential goods flowing into the country. It should be reiterated that the warplanes, ordnances, refueling technology and diplomatic cover provided by Washington and London have been essential in the Saudi-GCC war against Yemen since 2015. Successive U.S. administrations and British governments continue to supply arms to the Saudi monarchy and its cohorts in the region. The apparent premeditated killing of Washington Post columnist Jamal Khashoggi at the Saudi embassy in Turkey has highlighted the links between Washington and Riyadh. The response to the killing of Khashoggi by the Trump administration has been cautious and muted. Perhaps in an effort to deflect attention away from the implicit guilt of Washington, the Trump administration called for a cessation of hostilities and the beginning of efforts to end the war which has regional implications. The political reasoning of the U.S. for their sponsoring of the genocidal onslaught in Yemen is based upon allegations that the Ansurallah movement is supported by the Islamic Republic of Iran. This imperialist rationale is aimed at containing the influence of Tehran which is a major threat to the hegemony of Saudi Arabia and the United Arab Emirates (UAE), both of whom are staunch participants in the broader designs for total western hegemony in the region. The inability to dislodge the Ansurallah and the Popular Committees exposes the obvious limitations of such an approach therefore emboldening resistance forces seeking a genuine independent and sovereign existence for the people of West Asia and beyond. This same speech by al-Houthi points directly at the role of the U.S. noting that those “allies” of Saudi Arabia are viewed as mere pawns in the process. The Ansurallah leader claimed that the desire by Washington to reap profits from the sale of weapons to Riyadh is the driving force in the war. 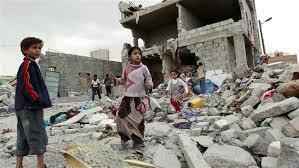 The character of the Yemen war as represented by the deliberate targeting of civilians many of whom are internally displaced persons (IDPs) and refugees impacted by wars throughout the region is largely being hidden from the people of the U.S. and Britain. In many cases reports on the humanitarian crisis in Yemen fail to mention the daily bombings and ground operations notwithstanding the supply of arms and other forms of assistance by the imperialists. A cholera epidemic has sickened over one million people since 2017. Official figures published by the World Health Organization (WHO) indicate that approximately 2,500 have died from this disease which is contracted through the consumption of contaminated drinking water. Bombing and ground operations around Hodeida port has hampered the ability of healthcare facilities to provide emergency services. This siege of the port on the Red Sea represents the entry point for 85% of the food supplies imported into the country. In a statement released on November 8 by Dr. Ahmed Al-Mandhari, the WHO Regional Director for the Eastern Mediterranean, the humanitarian specialist provides details on the current situation around the port city of Hodeida. The attempts of the Saudi-GCC coalition to dislodge the Popular Committees from the area have further endangered 2.4 million people living and working there. Worldwide attention has been focused on the November 6 midterm elections in the U.S. which resulted in the Republican Party losing its majority in the House of Representatives and at the same time gaining several seats within the Senate, increasing its dominance over this legislative wing of the Congress. A split government will intensify the existing struggle over the domestic policies governing the country in the realms of immigration, healthcare, race relations and environmental regulations, etc. Both the Democratic and Republican parties are controlled by the U.S. ruling class. Even though the two groupings have different constituencies within the population, decisions related to war and peace has continued to favor the militarization of the society. Resources allocated for imperialist wars abroad and state repression domestically could be utilized for the rebuilding of the cities, suburbs and rural areas of the U.S. Tens of millions remain in poverty as the gap between rich and poor widens. These issues will only be resolved through a fundamental shift in the control of economic and political institutions in the U.S. Until the government is forced by the people to end its wasteful and genocidal war machine the world will continue to experience instability and dislocation. According to figures released by UNCTAD and copied to Newsghana.com.gh today, global foreign direct investment (FDI) fell by 41% in the first half of 2018, to an estimated $470 billion from $800 billion in the same period in 2017 which was mainly due to large repatriations by United States parent companies of accumulated foreign earnings from their affiliates abroad following tax reforms. 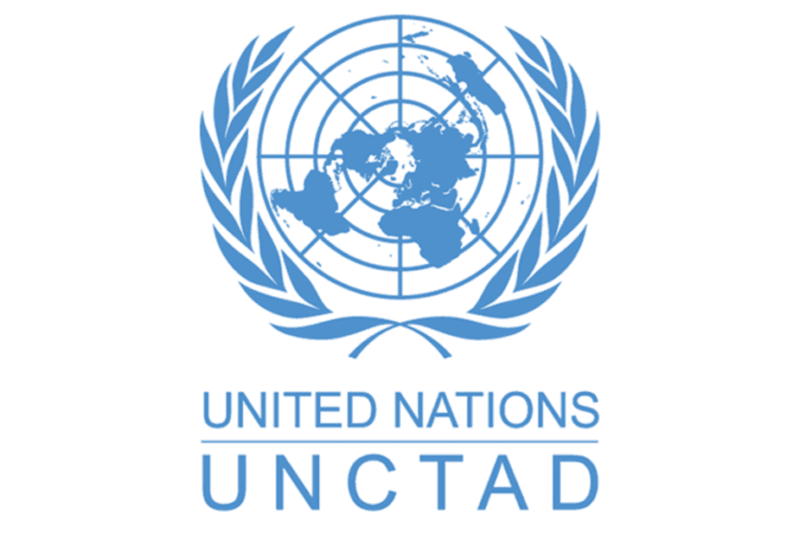 The figures are released ahead of UNCTAD’s World Investment Forum 2018, where more than 5,000 participants from 160 countries are due to meet to thrash out major new investment-for-development initiatives at the Palais des Nations, Geneva, Switzerland, from 22–26 October. The latest global FDI figures and analysis can be found in the new edition of UNCTAD’s Investment Trends Monitor. Despite wide criticism, the United States is withdrawing from the UN Human Rights Council (HRC), U.S. Permanent Representative to the United Nations Nikki Haley said here on Tuesday. In a speech at the State Department, Haley said the HRC had failed to conduct the “major, dramatic and systematic changes” required by the United States. Haley said last year that the United States would leave the council over what she said the “bias” against Israel. 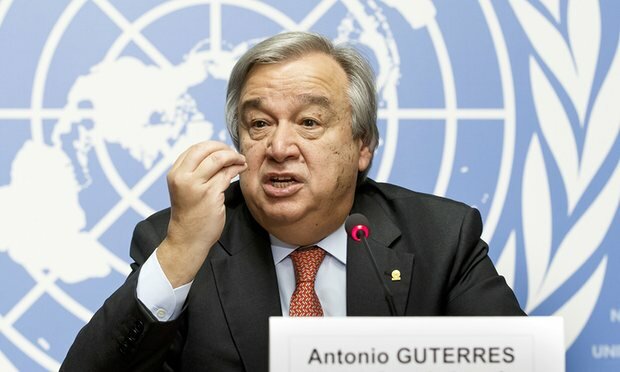 UN Secretary-General Antonio Guterres regretted the withdrawal. Vojislav Suc, the president of the UN Human Rights Council, also said that it is essential to uphold a strong and vibrant council in times when the value and strength of multilateralism and human rights are being challenged on a daily basis. In a statement issued right after Haley’s announcement, Suc said the council should be recognized as a central part of the United Nations for the 21st century, and it is the prerogative of any member state to make such a decision. The matter of filling the vacancy left in the council membership after the U.S. withdrawal will need to be addressed by the United Nations General Assembly, he added. “Given the state of human rights in today’s world, the U.S. should be stepping up, not stepping back,” Zeid said. The exit represented another U.S. departure from multinational organizations and treaties, after it pulled out of the Paris climate accord, the UN Global Compact on Migration, the UN culture and education body UNESCO, as well as the Iran nuclear deal. “But the issues go deeper. The HRC, like the UN General Assembly, has … recently publicly condemned the Trump administration’s current border enforcement policy,” said Trisko Darden, a professor at American University’s School of International Service. UN Secretary-General Antonio Guterres believes that children must not be traumatized by being separated from their parents, his spokesman, Stephane Dujarric, said on Monday. His voice was just one of many raised in objection to a recently introduced U.S. immigration policy that separates children from parents illegally crossing from Mexico into the United States resulting in their arrests. Some 2,000 children taken from parents have been put in detention centers in southwestern U.S. states, U.S. officials said. The secretary-general was concerned about the situation along the Mexico-U.S. border in the statement, read out by the spokesman at a regular press briefing. “What the secretary-general would like to see at all borders is to see people being treated with dignity and respect for their rights, that people claiming asylum be given proper hearings,” Dujarric said. “We’ve all been following what’s going on at the border and I think he is concerned as anyone else,” said Dujarric. UN High Commissioner for Human Rights (UNHCHR) Zeid Ra’ad Al Hussein was more direct. “In the United States, I am deeply concerned by recently adopted policies which punish children for their parents’ actions,” he said in Geneva, home of the council. He called on the United States to immediately end the practice of forcible separation of these children, and encouraged the government to at last ratify the Convention on the Rights of the Child, in order to ensure that the fundamental rights of all children, whatever their administrative status, will be at the center of all domestic laws and policies. 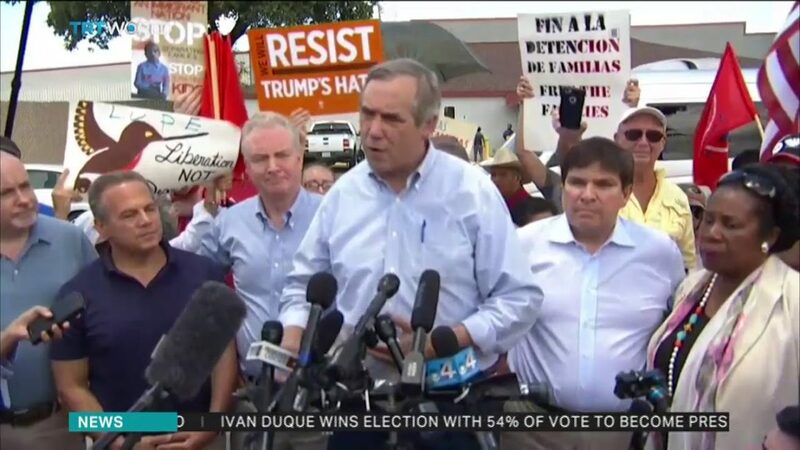 U.S. President Donald Trump continued to blame Democrats in Congress for their inaction for the arrests of parents and separate detention of their children. On Monday, he repeated in tweets his accusation, repeatedly called out as untrue by his critics. However, various media outlets in the United States have “fact checked” his allegations, refuting them, with some going beyond merely calling them “untruths” to actually call them “lies,” saying it is only his administration’s policy causing the separation and detention of children. 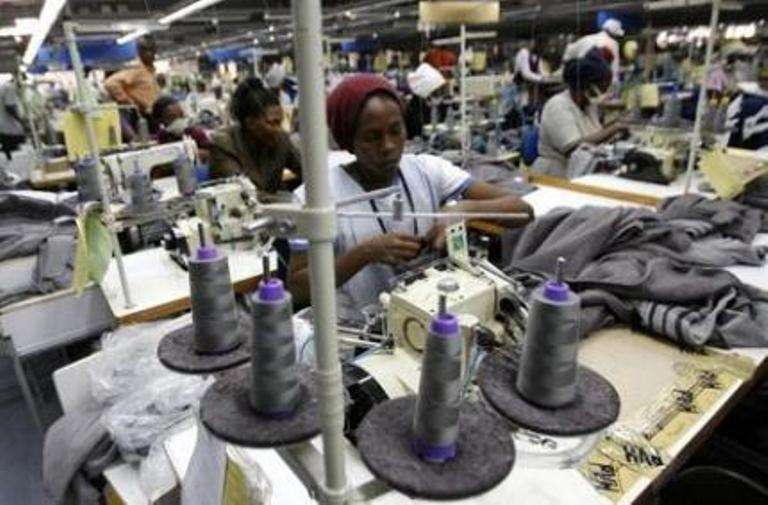 A group of businessmen from the United States, Germany, Turkey and Mozambique will invest 150 million U.S. dollars in the installation of a textile industry in the northern Malanje province of Angola. 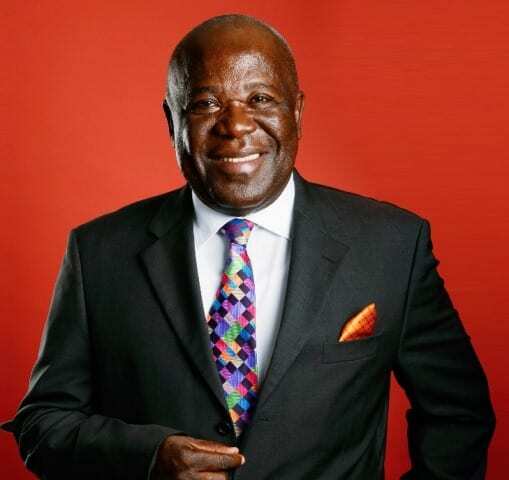 This was said on Sunday in Malanje city by the consortium, after a meeting with industry minister Bernarda Martins and the provincial governor of Malanje, Norberto Fernandes dos Santos “Kwata Kanawa”, aimed to present the project. The Chairman of the Board of Directors of TSG Global Holding, Rubar Sandi, on behalf of the businessmen, said that this project provides, in the first instance, the promotion of cotton production in Quela district, considered as traditional in this culture, and the study from other regions for cultivation. With the implementation of the two components (industrial and agricultural), whose implementation is expected within a year, 40 to 50 thousand direct jobs are expected to be added, according to the official. The Industry Minister Bernarda Martins said on the occasion that contacts are already being made with the Ministry of Construction and Public Works to improve the access roads to areas where cotton is intended to be grown in Quela district. 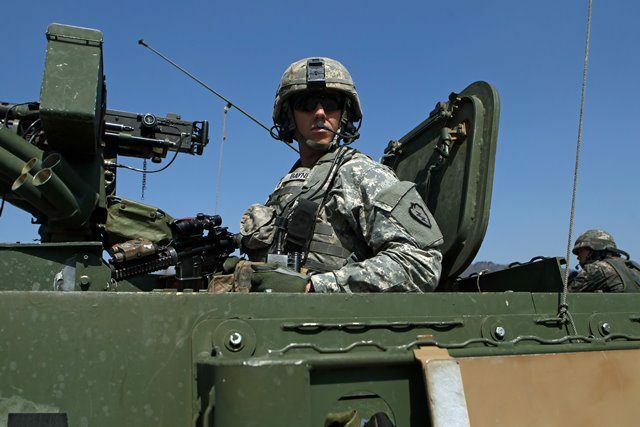 Qatar and the United States will increase the joint military exercises between the two countries soon, state-run Qatar News Agency (QNA) reported on Sunday. The remarks were made by Qatar’s Major General Mohammed bin Ali Al Ghanim and the visiting Commanding General of the U.S. Central Command Michael Garrett. Qatar, the host of the Al Udeid air base, the biggest U.S. military base in the Middle East, has concluded the Cpx Command Center Exercise which aimed at training the brigade’s leaders at all levels by imposing various military maneuver. Qatar hosts more than 10,000 U.S. troops and around 72 F-15 aircraft at the Al Udeid air base. Since the Gulf crisis, Qatar and United States held a number of joint military exercises as part of the “the enduring military-to-military” partnership between the two countries. On June 5 last year, Saudi Arabia, the United Arab Emirates, Bahrain and Egypt cut all ties with Qatar over accusations of Doha’s support for Islamist extremist groups. U.S. Secretary of State Mike Pompeo on Sunday outlined the United States’ plans to help the development of the Democratic People’s Republic of Korea (DPRK) if the country agrees to complete denuclearization. Pompeo said on Friday that the United States and South Korea are ready to help the DPRK achieve prosperity if it takes “bold” action in denuclearization. In an interview with CBS’s Face the Nation on Sunday, Pompeo elaborated on the plan, which deals with economic and security issues. “What Chairman Kim (Jong Un) will get from America is our finest — our entrepreneurs, our risk-takers, our capital providers,” he said. On Fox, Pompeo also said the topic of “security assurances” to Pyongyang would surely be put on the table. He said that the objectives include that the U.S. president would convince the DPRK leadership to the point “where America was no longer held at risk” by the DPRK. The specifics of the Korean Peninsula’s denuclearization process have been a major cause for U.S.-DPRK conflict. John Bolton, the U.S. national security advisor, demanded earlier that the DPRK ship out all its nuke programs and weapons to the United States to dismantle before the U.S. side grants any concessions. However, Pyongyang insisted on “phased and synchronous measures” in its denuclearization, requiring reciprocal actions by the United States, such as sanctions relief, in exchange. Pompeo said that there are still “a great deal of details to be worked on” in this regard. Pompeo said Kim knows what he is trying to achieve for his people. “He is able to deal with complexity when the conversation requires it,” he said. During the inter-Korea summit on April 27 in Panmunjom, Kim promised to dismantle the Punggye-ri underground nuclear test site in the northeastern DPRK in a transparent manner and show the dismantlement to the world. 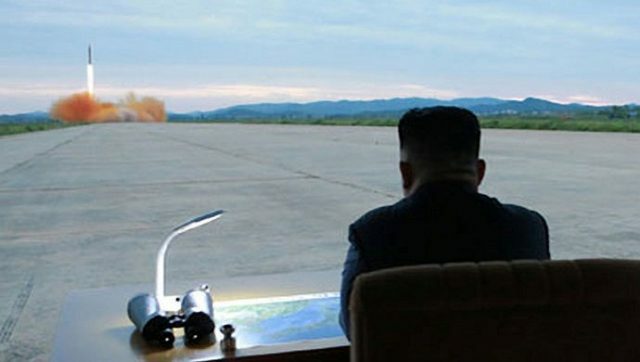 On Saturday, the DPRK announced it would hold a ceremony for the dismantling of its nuclear test site on May 23-25, taking a step forward towards the denuclearization of the Korean Peninsula. Turkey is set to receive its first F-35 aircraft, world’s most advanced fighter jets, despite an initiative launched by U.S. senators to block the delivery amid faltering relations between Turkey and the United States. Defense sources close to the project told Xinhua that the first F-35 will be delivered to the Turkish Air Force on June 21 in the United States where a ceremony will take place. “This plane will be deployed at Eglin air base in Florida, U.S. for a year where Turkish pilots will get training,” said Ozgur Eksi, a senior analyst with the Istanbul-based C4 defence magazine. Several batches would comprise some 20 other jets which are expected to be delivered gradually until 2022. The F-35 fighter jet is being developed and built by U.S. defence contractor Lockheed Martin for the United States, Britain, Australia, Italy, Norway, Turkey, the Netherlands, Denmark and Canada in a project worth about 400 billion U.S. dollars, making it the world’s most expensive weapons program. A total of 3,000 F-35 jets are to go into service around the world in coming years. Now, two Turkish Air Force pilots are getting special training in the United States, Anadolu Agency reported citing defense sources. After the training is completed and another warplane is delivered, the F-35 jets are planned to be brought to Turkey in September 2019. The trained pilots will fly the two F-35 jets accompanied by a refuelling plane. Meanwhile, a number of U.S. congressmen have urged the Trump administration to suspend the procurement because of Turkey’s decision to buy Russian S-400 advanced air defence systems. “If they take such a step at a moment when we are trying to mend our bilateral ties, they will definitely get a response from Turkey,” Turkish Foreign Minister Mevlut Cavusoglu told private broadcaster CNN Turk in an interview last week. In 2014, Turkey placed an order for the first two F-35 jets for the projected fleet of 100 F-35A aircraft and plans to deploy the aircraft by 2019. The F-35 jets are planned to be deployed at the 7th Main Jet Base Command in Turkey’s eastern Malatya province, located at the southern borders of Turkey with Iran, Iraq and Syria. The F-35 jets will replace Turkey’s aging fleet of F-4 and F-16 aircraft. Last December, the Pentagon said Italy and Turkey would provide the initial heavy maintenance of the F-35 fighter jets and their engines. Turkey is still in negotiations to purchase 16 vertical landing type aircraft. In terms of industrial participation, the Turkish defence industry plays an important role in the program as a parts supplier for the F-35 program. Ten Turkish firms, including Aselsan, Kale Aviation, Roketsan, and Turkish Aerospace Industries, are involved in the production of parts and electronic systems and the engine maintenance for F-35. U.S. senators have introduced a bill calling on President Donald Trump’s administration to exclude Ankara from the program, citing the country’s human rights records and the fact that an evangelical pastor, Andrew Brunson, is still jailed there and tried for “espionage” and “terrorism” charges after the botched military coup of July 2016. He faces up to 35 years in prison. Ties between the United States and Turkey have soured dramatically over rival stances on the war in Syria and Washington’s refusal to extradite cleric Fethullah Gulen to Turkey over his alleged role of masterminding the failed coup. Tensions have risen further over Turkey’s soon expected purchase of Russian S-400 defense system, worrying NATO partners and Washington alike. The multi-billion-dollar deal could eventually lead to the U.S. placing sanctions on Turkey to which Ankara has wowed to retaliate. Washington imposed an arms embargo on Turkey following the Turkish invasion of northern Cyprus in 1974, a military operation which was in response to a Greek coup to annex Cyprus to Greece. Ironically, this embargo pushed Turkey to develop its own defense industry over the years, diminishing considerably its dependence on foreign countries. 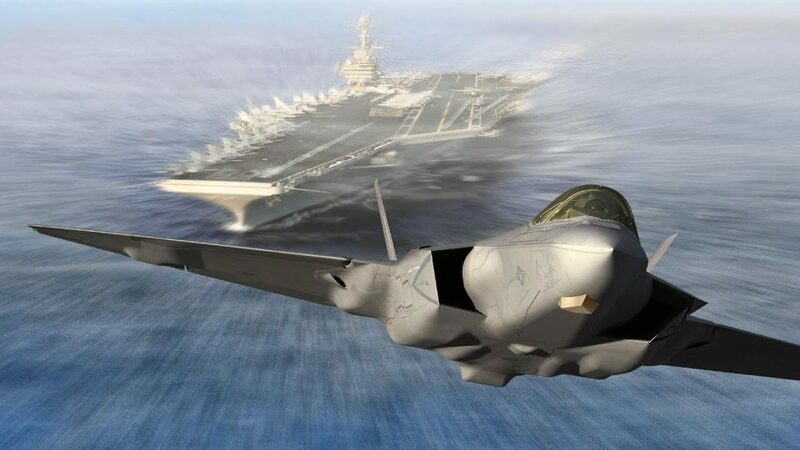 Experts believe that blocking F-35 delivery to Turkey will eventually cause the collapse of the whole massive project because important parts of the aircraft such as the central fuselage are manufactured in Turkey. “The U.S. will shoot itself in the foot, it would definitely harm the entire project,” argued Ozgur Eksi.